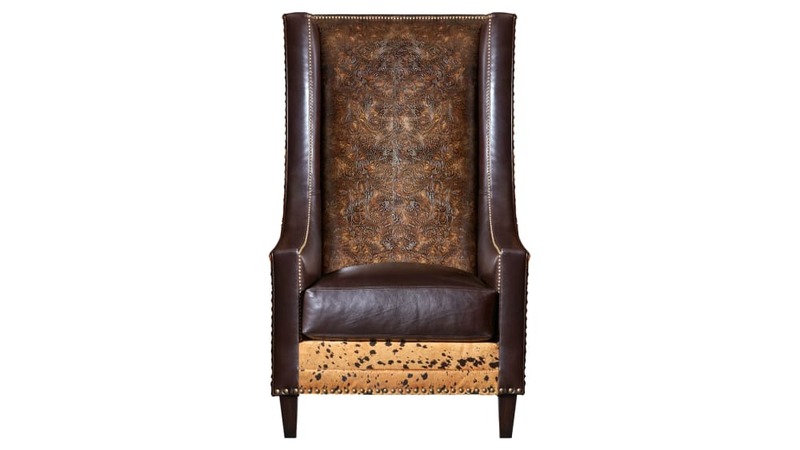 Ultimate comfort abounds in this classic wing back chair. 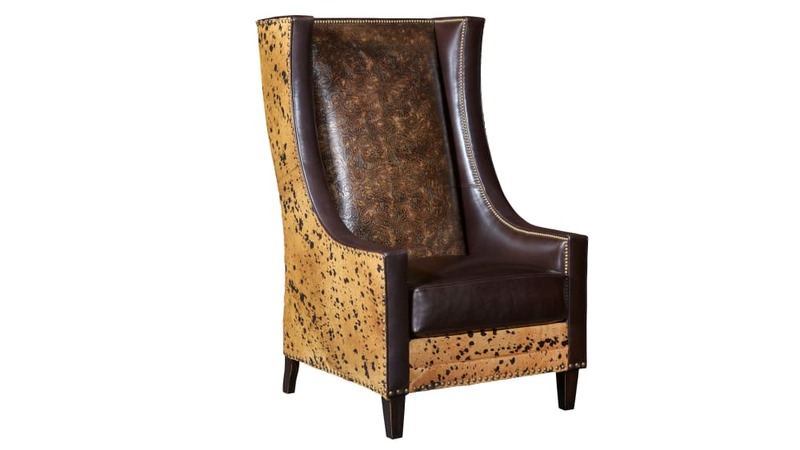 If features brass nail head trim around the arms, wings and front rail as well as a traditional tapered leg. 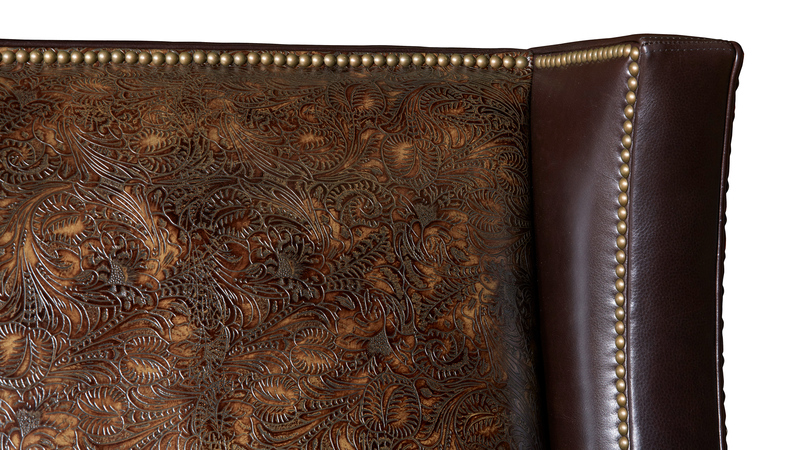 The back cushion has stunning tooled leather, while the sides, back and front panel have hair on hide.